Websites that Capture the Attention of Your Visitors and SEO to Get Your Business Found. Helping small and mid-sized businesses take their online presence to the next level and get more customers from the web. Responsive Website Design that adapts and looks great on devices of all sizes. Search Engine Optimization to help businesses get found online. Website Maintenance is the answer to keeping websites safe, secure and humming along. Website Audits reveal what’s wrong when a website is under-performing. 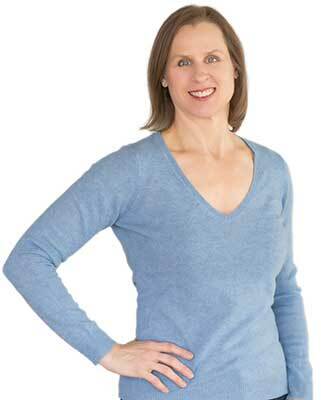 Hi, I’m Margie. I’m the owner of Webscape Design and I’d love to talk with you about how we can help your business get the most from the web. Website not bringing you business? We’ll review your website and tell you why. First impressions are everything! Your website represents your business as your online home base, where even referrals check you out. These days you need more than just a pretty website to be found online and get customers from the web. SEO gets websites found in search. To stay healthy, safe and working for you around the clock, websites need backups, software updates, security, uptime monitoring and more. Improve the online presence of your business with mobile responsive website development that’s optimized for search engines and is integrated to where your customers are on social media. But wait… What is online presence anyway? 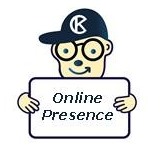 Your presence online includes any mention of you or your business that may come up with an online search. Even if you’re not active on the Internet you can still have an online presence. For example, if your business is a member of a Chamber of Commerce it’s pretty likely that the organization will list your name and business name in their membership directory on their website. Your Facebook and LinkedIn profiles, and any other social media profiles or pages, are also part of your online presence. Your website will be the biggest part of your web presence and it’s how we pull everything together for the biggest impact for your business. You don’t have the time, know-how or desire to figure out how to fix all this! Give yourself a break! Let Webscape Design do the geek work and website maintenance for you. Clients of Webscape Design are typically owners of small to mid-sized businesses who want to establish, or improve upon, their presence on the web. They’re not marketing experts or web geeks. With that in mind, on this website you won’t find all the marketing hype and confusing technical terms that might leave your head spinning. Instead, we want you to learn about online presence, the process of improving that presence, and to enjoy the excitement of getting a new website and getting found on the web. We can break the website development process down into three basic phases which include Planning, Building, and Maintenance as described briefly below. We’re going to work together? That’s great! We’ll begin the planning phase now and we’ll discuss the look and feel of your new website, how you’d like your website to work for you, and we’ll determine your specific needs. We’ll talk about your existing branding, calls to action, how to get visitors to engage with you and much more. We’ll make suggestions and recommendations to help guide you through the process as we plan the design and functionality of your site. If we’ll be updating your existing site then this is the ideal time to do a website audit so we know what’s working and what issues need to be addressed for the best results. Once the planning phase is complete and we have a layout and design you’re happy with, the magic begins. That’s when we start the website development process and our ideas begin to take shape online. It’s also when we build in the majority of the search engine optimization. We’ll work with you through the entire process and ensure that you have a website you’ll want to show off to the world. Your website should not be considered “once and done” after the website development project has launched. Maintenance is an important part of keeping a website healthy and safe from predators. At a minimum your site will need regular backups and software updates so you have the latest versions of the core software, plugins and theme to keep your site secure. And if you want to please the search engines, and have the best chance of ranking well, we’ll need to keep your content fresh and make sure your visitors have a positive experience while visiting. Most business owners don’t have the time or knowledge to do all these things well on their own. That’s why a Website Maintenance Care Plan is the way to go. With a Care Plan we can do all that, and a lot more, for you. Keeping your website up to date during the maintenance phase reduces your site’s vulnerability from hackers and keeps it looking fresh, and that pleases the search engines.